(Alexandria, VA) – On Thursday, March 28th, during an official session of the California State Senate, a formal “Resolution” recognizing and honoring “National Blinded Veteran’s Day” will be proposed and voted upon on the State Senate Floor. It is expected to pass and will be followed by an official presentation on the senate Floor. In 1958, the 58th Congress approved the Congressional Charter for the “Blinded Veteran’s Association”. 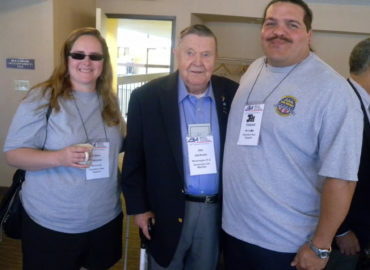 The “Blinded Veterans Association” encourages blinded veterans to take their rightful place in the community with their fellow men [and women] and work with them toward the creation of a peaceful world and has continued to advocate for the war-blinded to regain independence, confidence, and self-esteem through rehabilitation and training. This Senate Resolution will be followed by a meeting with State Assemblyman Tom Lackey where an Assembly Resolution (already passed) for “National Blinded Veteran’s Day”, will be presented to individuals representing the “Blinded Veterans Association”. The “Blinded Veterans Association” has service programs, regional groups, resources, and advocacy before the legislative and executive branches of government. They work to make life better for blinded veterans and serve with encouragement and support for our blinded Veterans. Press wishing to attend the event can contact Ed Crane at (559) 297-9286 or [email protected].